Ellen Duenow – Senior Sessions Leader | Jack B. Keenan Inc.
Ellen has worked with JBK since 1997 as a Senior Session Leader. Her primary focus is on the tailoring and delivery of programs. She is one of the lead Session Leaders for Selling Beyond the Product, Social Styles™ and Getting Past Yes. Ellen’s business and training and development experience prior to joining the JBK team was gained largely from 20 years with Levi Strauss. 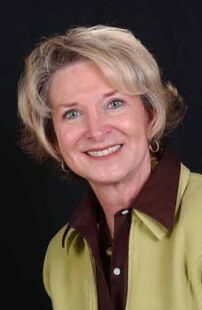 During her 20-year tenure there, Ellen served in people, product, and project management roles for the company. At various times in her career, Ellen managed the team that developed the Olympic Warm-up Suits worn at the 1980 and 1984 Olympic Games. She also ran the Levi’s retail store chain, and was responsible for Men’s Jeans and Men’s Dockers product lines. During her last few years with Levi Strauss, Ellen gained valuable experience as Transition Manager for their enterprise-wide Re-engineering project. In this role, Ellen gained a wealth of expertise in large-scale change management and the role that training and development plays in such change. Ellen is recognized and respected for being practical, yet creative, enthusiastic and responsible. She works well with others and, above all, maintains a sense of humor.